Microsoft say Windows 10 will be their last named version of Windows, as the company will now just incrementally update its operating system software. 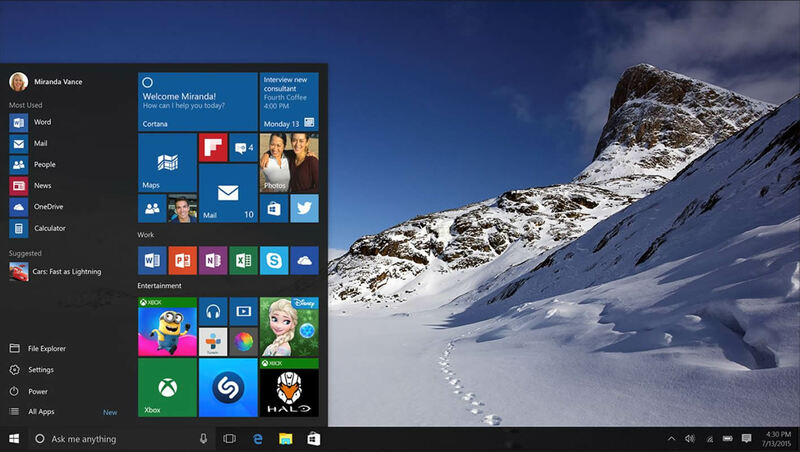 Microsoft revealed that the upcoming release of Windows 10 will be the last version of the company’s iconic operating system. The company will instead update Windows in an ‘ongoing manner’, Microsoft development executive Jerry Nixon revealed at its Ignite event, rather then releasing standalone versions every few years. Microsoft also confirmed the news in a statement, which said it expected there to be a “long future” for the product. “Windows will be delivered as a service bringing new innovations and updates in an ongoing manner” it said. However, reports have claimed that work on the first official update for the software, codenamed Redstone, is already under-way, and will come to market sometime in 2016. Windows 10 (codenamed Threshold) is an upcoming computer operating system being developed by Microsoft as part of the Windows NT family of operating systems. First presented in April 2014 at the Build Conference, it is scheduled to be released on July 29, 2015 and is currently in public beta testing through the Windows Insider program. During its first year of availability, upgrades to Windows 10 will be offered at no charge for consumer users of genuine Windows 7 and Windows 8.1. The software promises a major overhaul in terms of several functions, not least in the return of the familiar Start menu, which comes with a new customisable space for a user’s favourite apps and Live Tiles (from Windows Phone), where users can place their favourite apps, people and websites. Microsoft is also aiming to give users a more traditional Windows experience that incorporates both touch, keyboard, and mouse inputs. Other new features include a search option on the taskbar and Start menu; a new quadrant app layout; and a new task-view button on the taskbar. Windows 10 also marked a break in naming tradition for Microsoft, skipping the expected ‘Windows 9’ name in a move widely seen at signifying a break with the past. However it has also been rumoured that the name change could be down to coding systems from Windows 95 and 98 versions still being in use.